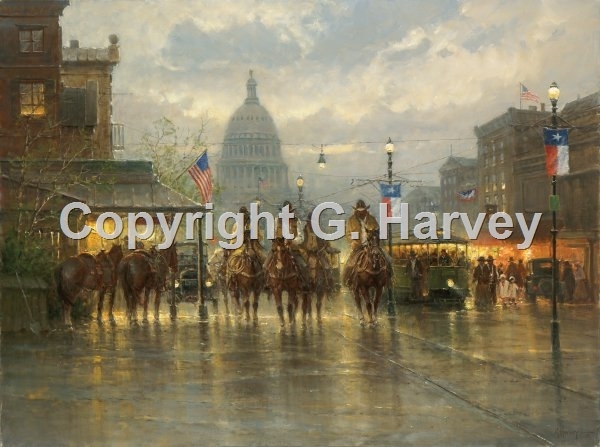 Turn-of-the-century Austin, Texas, sets the scene for this trademark G. Harvey image. The beautiful Texas capitol rises in the background as the four cowhands slowly ride along Congress Avenue as it teems with people. Signs of a new era are evident with a trolley and a car also on the rainy thoroughfare. These "Cowhands on the Avenue" are portrayed as only the legendary artist paints America's revered icons of the West.